My Mom had been taking the full-stalk canned style asparagus that she pureed and she took 4 tablespoons in the morning and 4 tablespoons later in the day. She did this for over a month. She is on chemo pills for Stage 3 lung cancer in the pleural area and her cancer cell count went from 386 down to 125 as of this past week. Her oncologist said she does not need to see him for 3 months. THE ARTICLE: Several years ago, I had a man seeking asparagus for a friend who had cancer. He gave me a photocopied copy of an article, entitled, Asparagus for cancer ‘printed in Cancer News Journal, December 1979. I will share it here, just as it was shared with me: I am a biochemist, and have specialized in the relation of diet to health or over 50 years. Several years ago, I learned of the discovery of Richard R. Vensal, D.D.S. that asparagus might cure cancer. Since then, I have worked with him on his project we have accumulated a number of favorable case histories. Here are a few examples: Case No. 1, A man with an almost hopeless case of Hodgkin’s disease (cancer of the lymph glands) who was completely incapacitated. Within 1 year of starting the asparagus therapy, his doctors were unable to detect any signs of cancer, and he was back on a schedule of strenuous exercise. Case No. 2, a successful businessman 68 years old who suffered from cancer of the bladder for 16 years. After years of medical treatments, including radiation without improvement, he went on asparagus. Within 3 months, examinations revealed that his bladder tumor had disappeared and that his kidneys were normal. Case No. 3, a man who had lung cancer. On March 5th 1971, he was put on the operating table where they found lung cancer so widely spread that it was inoperable. The surgeon sewed him up and declared his case hopeless. On April 5th he heard about the Asparagus therapy and immediately started taking it By August, x-ray pictures revealed that all signs of the cancer had disappeared.. He is back at his regular business routine. Case No. 4, a woman who was troubled for a number of years with skin cancer. She finally developed different skin cancers which were diagnosed by the acting specialist as advanced. Within 3 months after starting on asparagus, her skin specialist said that her skin looked fine and no more skin lesions. This woman reported that the asparagus therapy also cured her kidney disease, which started in 1949. She had over 10 operations for kidney stones, and was receiving government disability payments for an inoperable, terminal, kidney condition. She attributes the cure of this kidney trouble entirely to the asparagus. I was not surprised at this result, as `The elements of materia medica’, edited in1854 by a Professor at the University of Pennsylvania, stated that asparagus was used as a popular remedy for kidney stones. He even referred to experiments, in 1739, on the power of asparagus in dissolving stones. Note the dates! We would have other case histories but the medical establishment has interfered with our obtaining some of the records. I am therefore appealing to readers to spread this good news and help us to gather a large number of case histories that will overwhelm the medical skeptics about this unbelievably simple and natural remedy. For the treatment, asparagus should be cooked before using, and therefore canned asparagus is just as good as fresh. I have corresponded with the two leading canners of asparagus, Giant and Stokely, and I am satisfied that these brands contain no pesticides or preservatives. 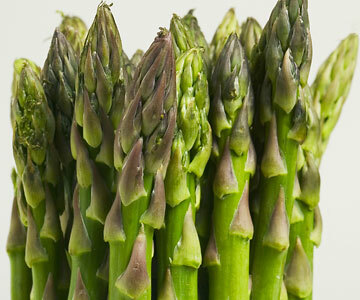 For that reason, I believe asparagus can be said to contain a substance that I call cell growth normalize. That accounts for its action on cancer and in acting as a general body tonic. In any event, regardless of theory, asparagus used as we suggest, is a harmless substance. The FDA cannot prevent you from using it and it may do you much good. It has been reported by the US National Cancer Institute, that asparagus is the highest tested food containing glutathione, which is considered one of the body’s most potent anticarcinogens and antioxidants.